Hand’s up who eats their sweetie pies by digging out the marshmallow filling with their finger before they consume the chocolate shell? Or maybe you’re like me that just tucks straight in and tries to get the entire thing into my mouth as quickly as possible to limit marshmallow wastage? 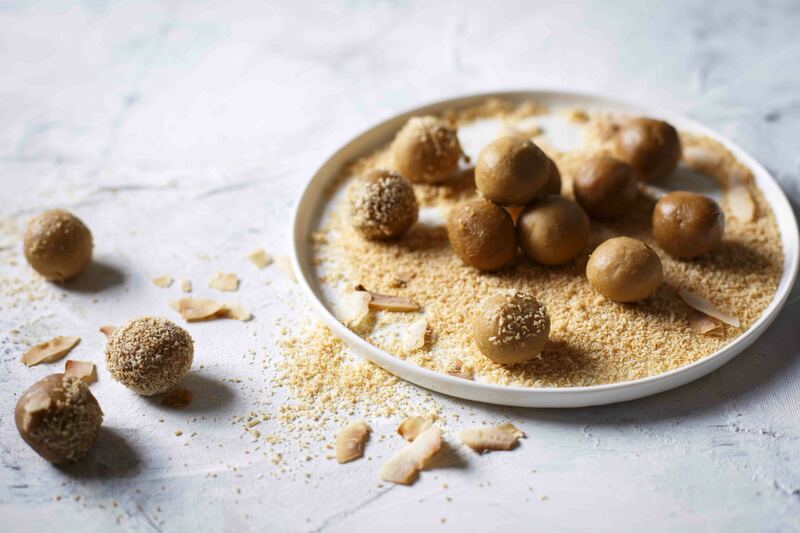 Well whichever way you enjoy them, I think we can all agree that they’re one of those South African treats we all have a serious soft spot for! But something else I have a serious soft spot for lately is the Haute Cabriere Unwooded Pinot Noir and after spending an entire afternoon working out what flavours would go with it (and by working, I of course mean drinking) I stumbled upon the perfect pairing of pinot noir and cherries. And oh my goodness is this combination so gooooooood! 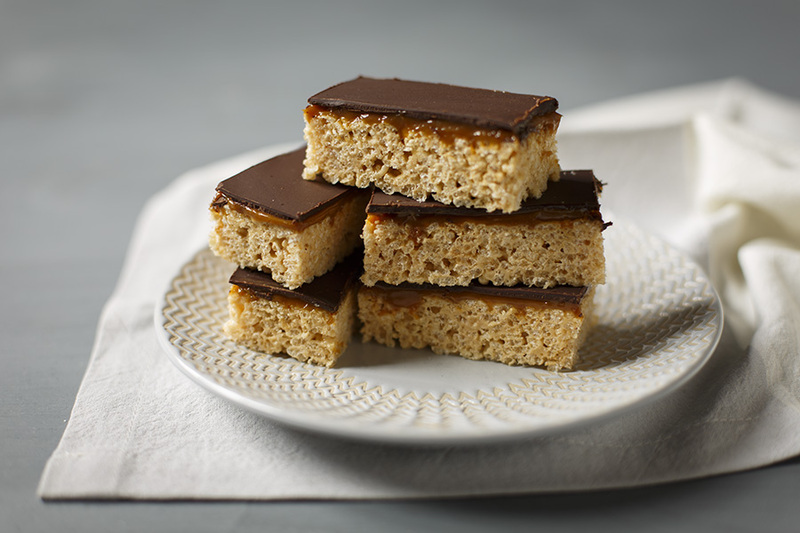 While I’m all for suggesting that the cherries count as fruit and a plate of these treats could count as a meal 😉 society says otherwise so why not try Sarah Graham’s delicious Dukkah Chicken Flatbreads – and then polish off the sweetie pies! 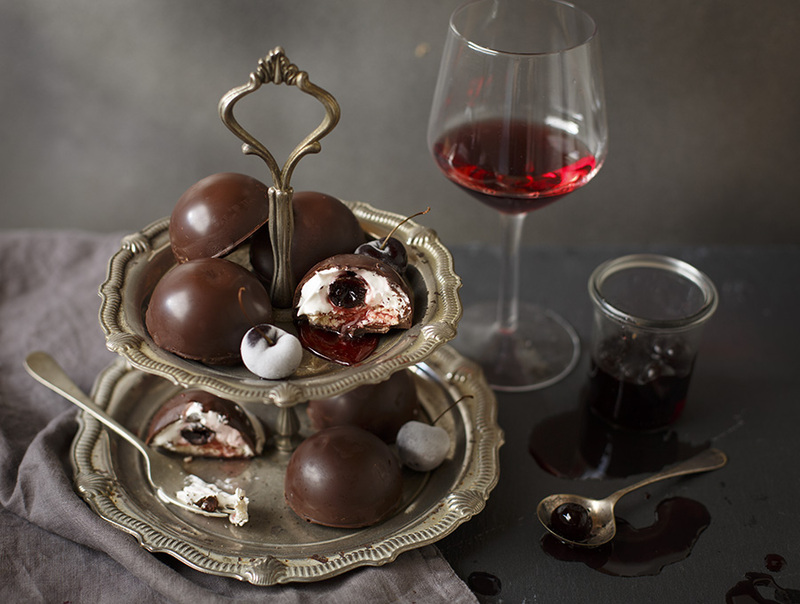 A crisp chocolate shell encases a vanilla marshmallow creme filling into which I tucked a sneaky syrup-soaked cherry and all of this sits snugly on top of a wafer biscuit. 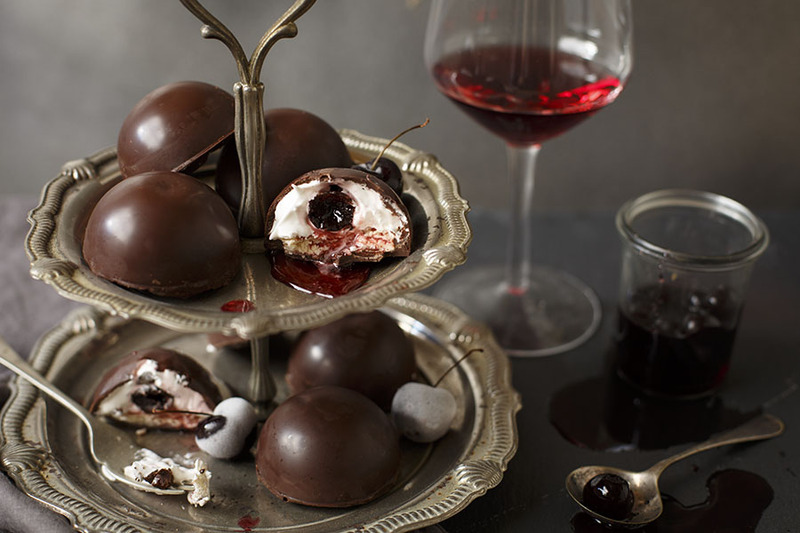 Of course, the sneaky syrupy cherry inside means that there’s something exciting for all you savages who dig out your marshmallow filling first. 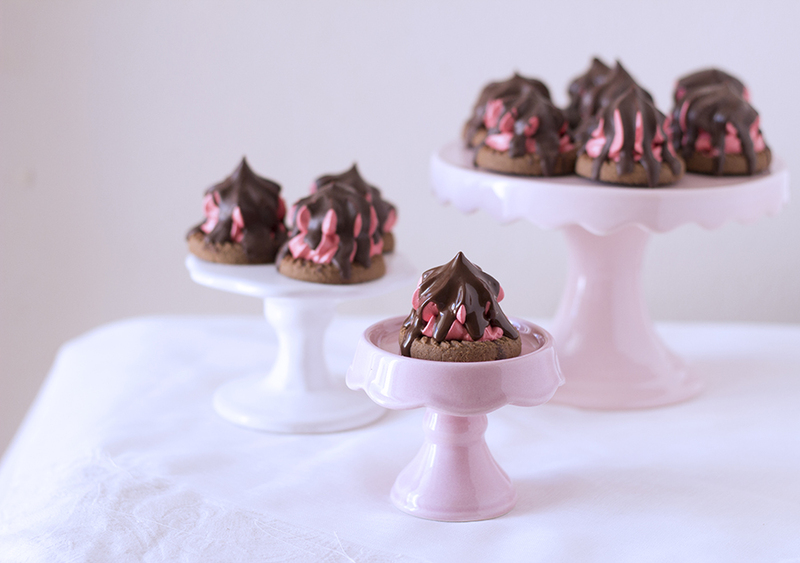 These are super easy to make, especially if you have those silicone muffin trays and heck if you don’t, then just pipe the marshmallow on top of the wafers and dip them in chocolate – that will be okay too! Either way it’s a win-win situation. And speaking of winning, don’t forget that each week Haute Cabriere are giving 2 lucky people each a case of mixed wines during March and April 2016. So this is how you make the most of this situation: 1. Buy the wine and make the sweetie pies. 2. Drink the wine and eat all the sweetie pies. 3. Use the barcode on the (now empty) bottle and click here to enter. See, told you it was a win-win! 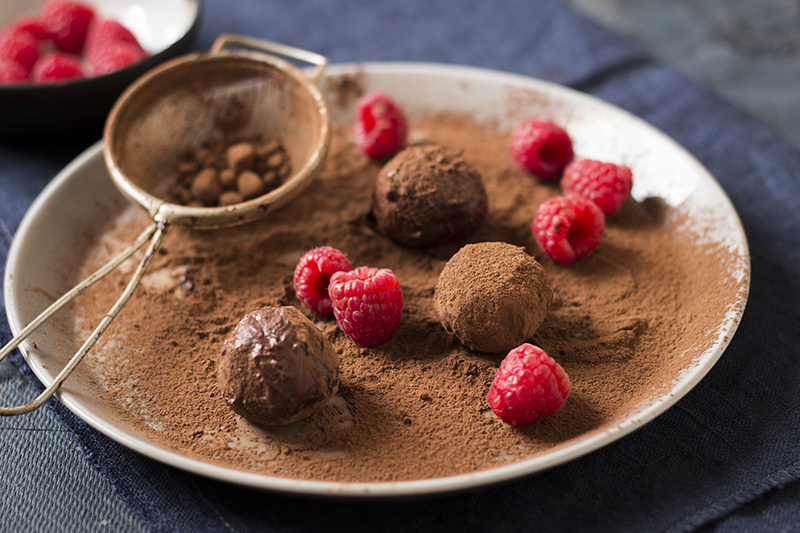 Melt the chocolate and coconut oil in a medium glass or metal bowl over a saucepan of barely simmering water until melted and smooth. 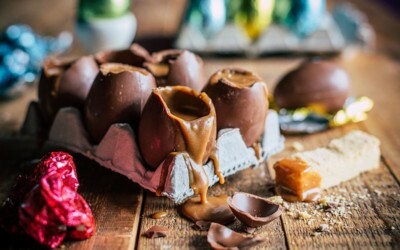 Using a pastry brush, brush a round silicone mould (or muffin cups) with chocolate a few times to form a chocolate shell, making sure to allow the chocolate to set in the fridge between each coating. About 3 layers should do it. To make the marshmallow creme filling, in a large glass or metal bowl combine the egg white, sugar and vanilla and gently whisk over gently simmering water until the mixture is hot to the touch. Remove from the heat and beat with an electric mixer or stand mixer fitted with a whisk attachment until fluffy and white then continue beating until cool. 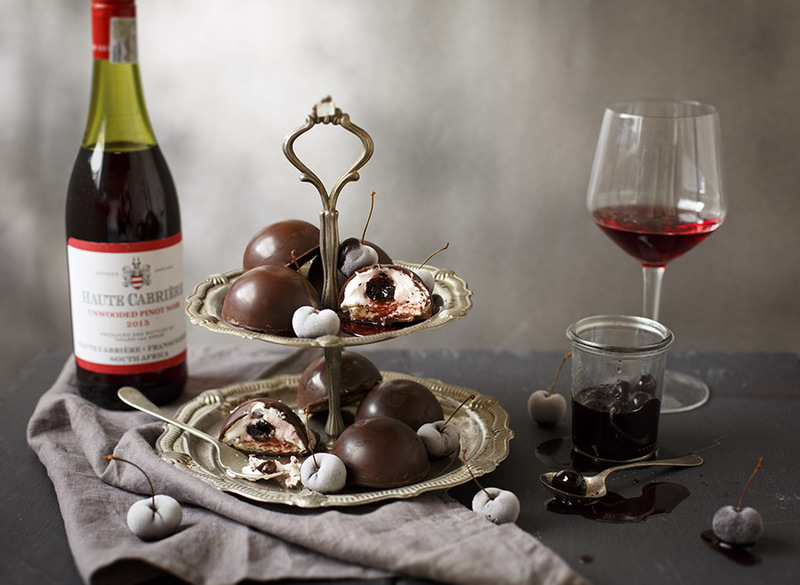 Pipe or spoon the marshmallow into the chocolate shells then insert a cherry into the middle of each. Top with the wafer rounds then cover with more chocolate to seal the sweetie pies well. Allow to set completely before unmoulding. Store in an airtight container for 2-3 days.